Five Flavours Film Festival - Achive - 1. Vietnamese Film Festival "Cinema in Five Flavours"
1. Vietnamese Film Festival "Cinema in Five Flavours"
The 1st edition of Five Flavours was held in Warsaw, from 30th March to 1st April, 2007. 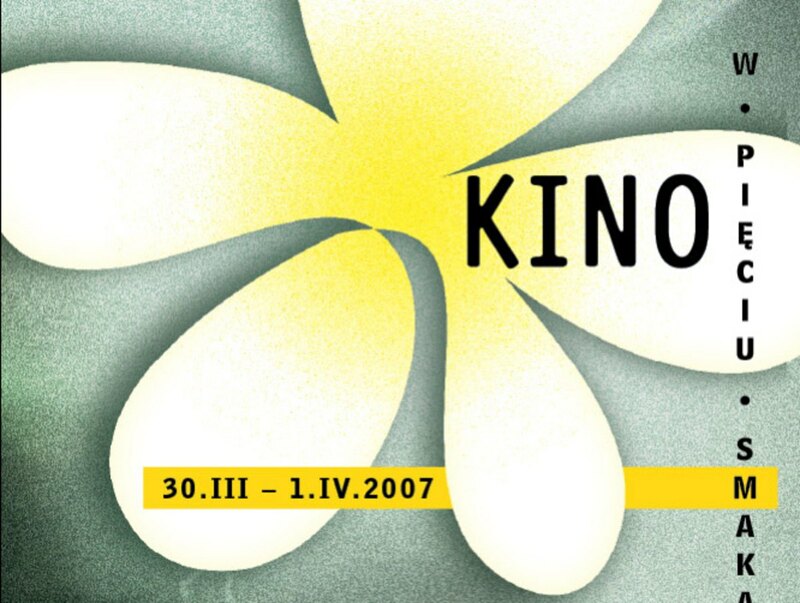 The first edition of the film event which later came to be known simply as Five Flavours, took place in Warsaw, in the early spring of 2007. It focused solely on Vietnamese cinema – Arteria Art Foundation, which created Five Flavours, was an organization effectively promoting Vietnamese culture in Warsaw. Why Vietnamese? The Vietnamese community was, and still is, the largest immigrant group representing a non-European culture both in Warsaw and in Poland. Vietnamese students first arrived in Poland as members of exchange programmes operated by Polish and Vietnamese universities in the late 1950s. In the early 1990s, after the end of the communist era in Poland, many former students brought their families to the country. New economic possibilities also triggered a wave of Vietnamese immigration, with many newcomers starting out as vendors in the open-air market located at the 10th Anniversary Stadium, now rebuilt again as a sport venue. In the early 2000s, the Stadium was the most multicultural place in Warsaw, gathering vendors from all over Asia, Africa and Eastern Europe. It was also where, in 2006, Arteria and the representatives of the Vietnamese community in Warsaw organized an interdisciplinary project, "A Journey to Asia." It was a big hit among the audiences, for whom the Stadium was largely a mysterious, undiscovered space, and was well-received in the media, inspiring the organizers to come up with a film event focusing on Vietnamese cinema. The first edition of Five Flavours (Pięć Smaków in Polish) came to life a few months later, thanks to the support of Warsaw City Council. The programme of the first edition showcased just 13 short and long films, but attracted about 1,500 viewers, proving there was an interest in exploring Vietnamese cinema and culture. "The Scent of Green Papaya" by Tran Anh Hung, "Living in Fear" by Bui Thac Chuyen, and "Spirits" by Victor Vu had their Polish premieres at the first Five Flavours. "Me Thao" director, Viet Linh, was a special guest presenting her sophomore feature, and discussing Vietnamese cinema with the audience. All screenings took place at Kino Muranów cinema, which is still the main venue of the festival. The inspiration for the name Five Flavours comes from Vietnamese culture and Buddhism, where five different flavours represent the five periods of Buddha's teachings. The visual identification was based on the flower known as frangipani or plumeria, often associated with Buddhist temples in Asia.